You need a MIDP 2.0 enabled cell phone in order to run it. 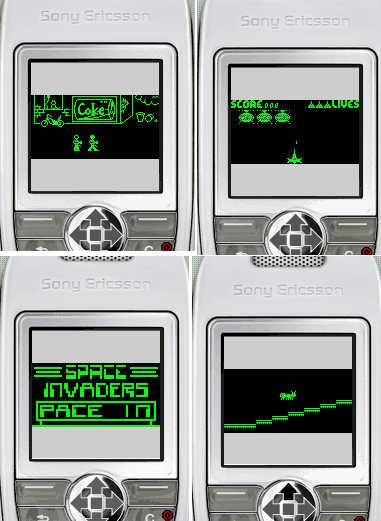 This is a Chip-8 emulator for Java enabled cell phones. The point was emulating an old Chip-8 interpreter. It is bundled with several freeware games. Check it out, it's free! !